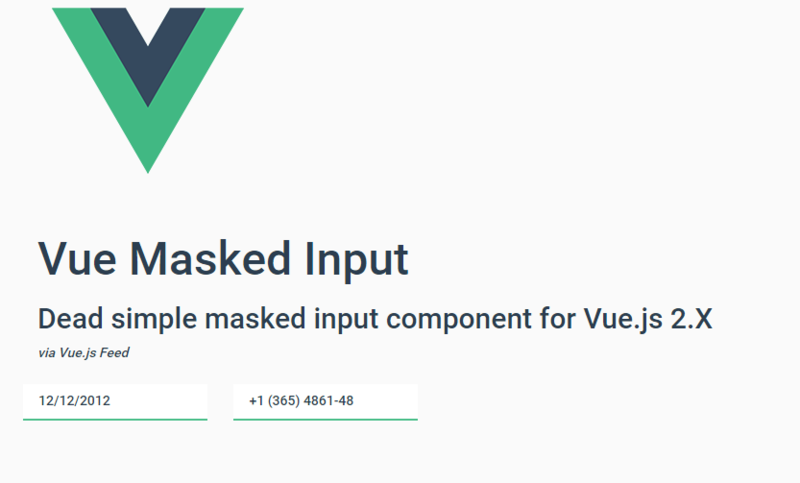 New masked input component for Vue.js, used to enter data in a certain format dates,phone numbers, etc. Based on inputmask-core. Live examples here. <masked-input mask="\+\1 (111) 1111-11" placeholder="Phone"
Vue Masked Input is available on GitHub.